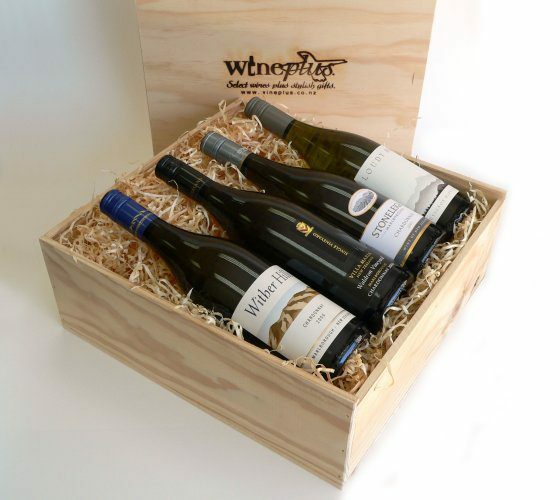 To start you off we have included two stunning examples of New Zealand pinot noir in this gift box – a Peregrine Pinot Noir and a Pegasus Bay Pinot Noir. Simply add two more bottles of your choice to complete the selection. Add your second choice of wine, whiskies and port. The cost of this is additional. Why not add some delicious, award-winning ‘chocolate brown’ chocolates and mouth-watering ‘Molly Whoppy’ handmade Milk Choc Chunk biscuits to your gift basket? – 2 bottles of your choice (*the cost of these is in addition to the price shown above). Known as a specialist pinot noir house, Peregrine has received global acclaim for its wines. Using only the very best hand-picked fruit from 11 sites around the Lowburn, Bendigo and Gibbston sub regions, the pinot noir is an elegant wine showing aromas of dark cherry, florals and spice. Ripe berry fruit and wild herb characters combine on the palate with fine tannins giving wonderful complexity and length. Pegasus Bay in the Waipara Valley has been rated as one of New Zealand’s top 5 producers and its pinot noir is a consistent favourite among wine critics. The wine is made entirely naturally without the addition of any micro-organisms. There is a dense core of ripe fruit which is coated with fine-grained, velvety tannins. It is robust, but refined and savoury/spicy overtones linger in the after-taste. "Good service and I will be using you often from now! 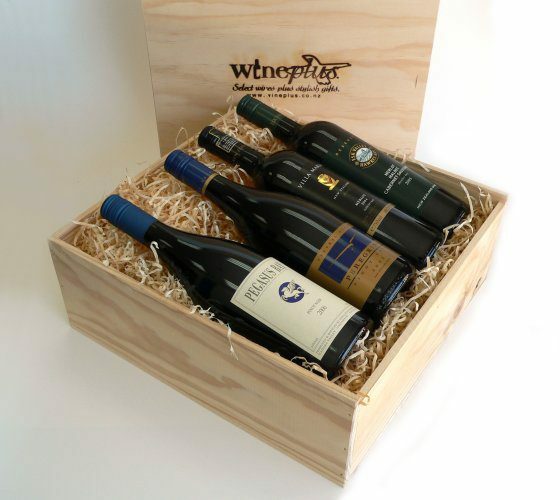 I must say how much my clients enjoyed the gifts, good wine too."